As a Marine Corps colonel who commanded in all environments, I learned upon arriving at the Department of Homeland Security that the domestic front lines of the war on terrorism extend to the men and women of the Transportation Security Administration at your local airport. 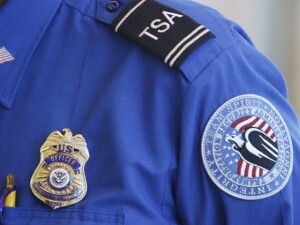 Having served for the past nine years in leadership positions with TSA and DHS, I will be departing TSA in September as the federal security director for Southwest Florida International and Punta Gorda airports. The success of TSA in Southwest Florida is directly linked to a dedicated workforce and partnerships with the airport directors, their staffs, airlines, law enforcement community and DHS agencies. Every day, without fail, the men and women of TSA demonstrate an exceptional capability to protect the traveling public and regulate airports and airlines to ensure compliance with federal regulations. Their commitment to mission and daily actions exemplify the character and integrity of our federal employees. They have a tough job and know there is no margin for error. They take the routine out of routine when screening thousands of bags and passengers. They accept the risk that a passenger might be carrying an improvised explosive device, gun or knife. They train constantly to stay ahead of a “thinking enemy” who wants to hurt us. They put themselves in harm’s way, as we saw at Los Angeles International Airport when two Transportation Security officers were shot in the line of duty; one of them died. Posted: 6/2/14 at 9:08 AM under News Story.